Hotel general managers have so much on their plates – guest feedback technology is there to help ease that pressure. Guest feedback technology can make reputation management, marketing, operational and budgeting decisions, and staff training easier. 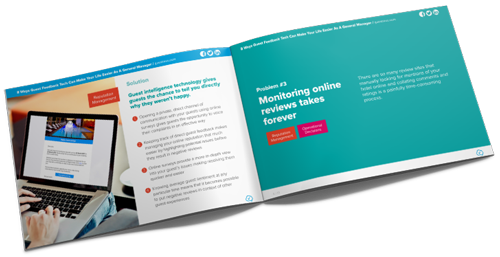 In this free guide, we look at 8 problems that hotel GMs face and how to address each issue with guest feedback tech.